Just in time to enjoy summer in Steveston. 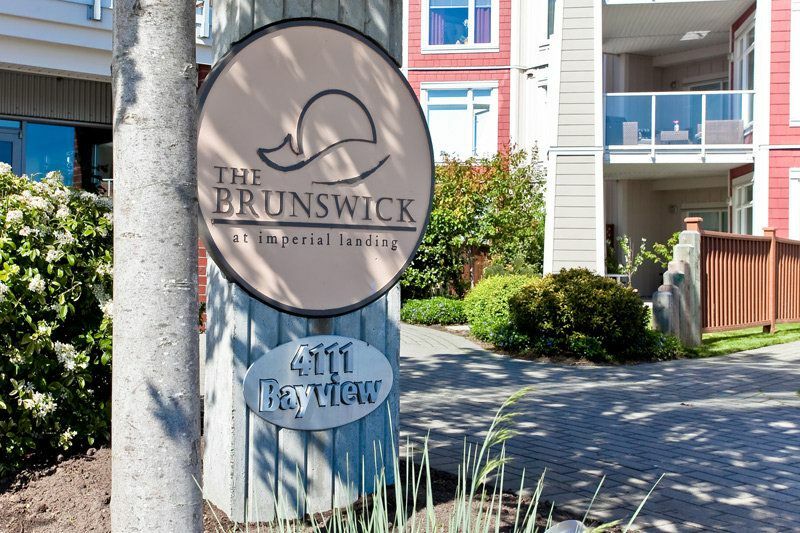 This rarely available 1382sf large 3 bedroom+den, 2 bathroom, 2 parking, 2 large balcony home is located in a tranquil end unit of the Brunswick at Imperial Landing by Onni. Beautifully maintained by the original owner, this unit features premium details, California closets, granite counters, stainless steel appliances, retractable door/window screen. Enjoy an additional 415sf of outdoor space from the 2 large balconies. Exceptional facilities including a gym, guest suite, bike storage & entertaining room. Just steps to all that Steveston Village has to offer: waterfront boardwalk, shops, cafes & restaurants, park, library & community centre. Tomekichi Homma Elementary & Alexander McMath Secondary catchment.